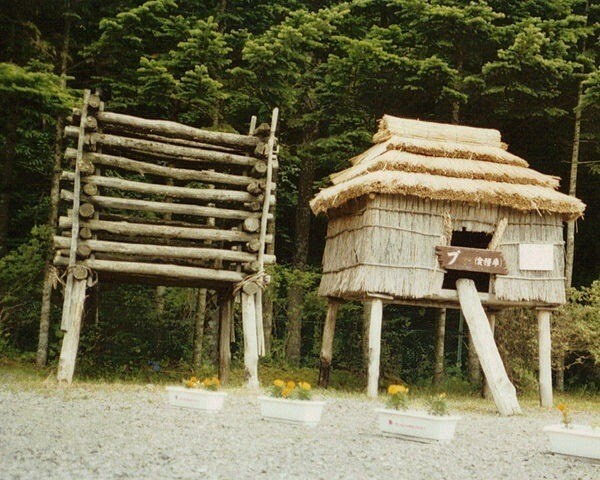 Five Historical Spots Where You Can Experience Ainu Culture! The Ainu are the indigenous people in Hokkaido. While the current size of the Ainu population is not large, their art and culture have a profound influence on Hokkaido residents. 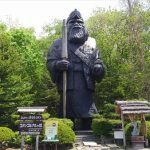 This article will introduce various facilities where you can learn about the culture of the Ainu people. Please stop by during your trip. Several spots providing a glimpse of Ainu culture can be found between JR Sapporo Station and Odori. 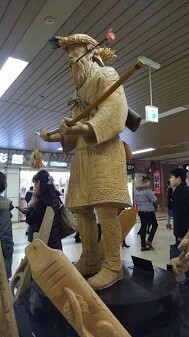 The first one is “Irankarapute”, a carved wooden statue that can be found in JR Sapporo Station West Concourse. 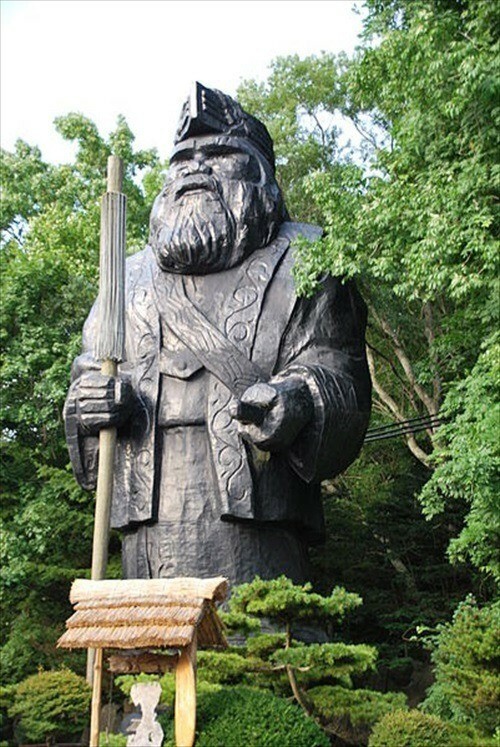 The statue depicts an Ainu elder entertaining guests while holding a ritual object in his hands. It is a familiar spot at the station and a popular local rendezvous point. 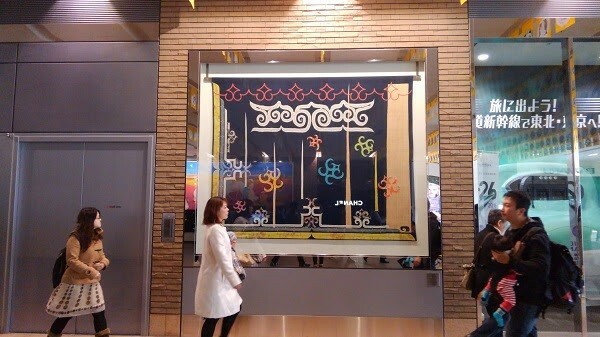 Stunning pieces of Ainu embroidery are also on exhibit at the entrance to Sapporo Stellar Place, a fashion building that is directly connected to the station. Ainu culture, which has strength in its delicacy, has had a significant impact on creative people all over the world. 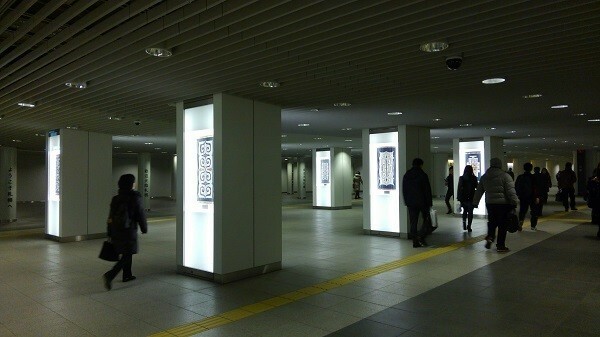 Another small and permanent exhibition spot is at the entrance to Chikaho, the Sapporo Ekimae-dori Underground Walkway. 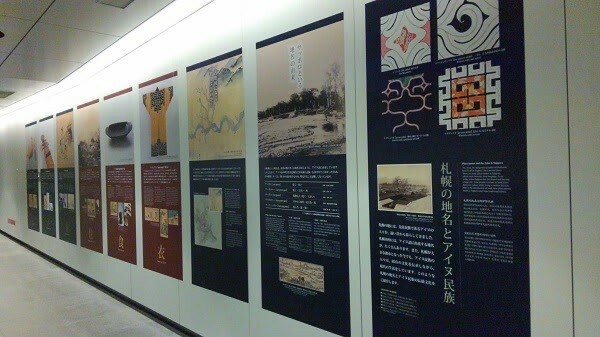 It has panels explaining Hokkaido and the Ainu people in four languages, together with displays of Ainu embroidery. Naturally, there is more to Ainu art than just embroidery. It also includes craft, dance, and music. Try to get an experience of Ainu culture at the places that are introduced below! 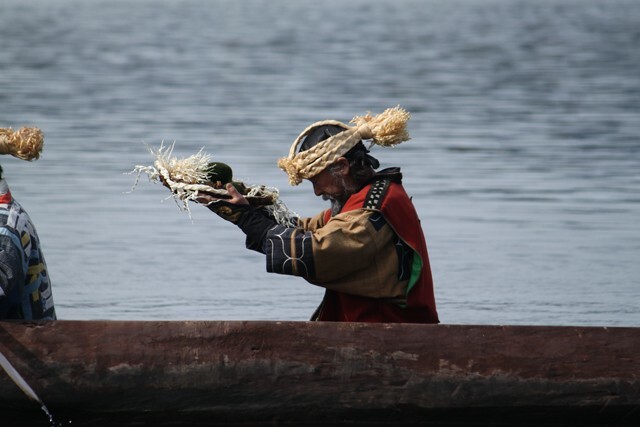 The top spots where you can experience Ainu culture is “Lake Akan Ainu Kotan”. This is a regular stop along Doto Ryoko tours. In the past, this facility was seen as one that simply piqued the curiosity of tourists. However, sparked by the ecology and healing booms of recent years, interest in Ainu culture has gradually emerged. The Ainu people saw all the natural world, including both the earth and living creatures, as gods. They prayed and gave thanks for nature’s blessings. These acts of prayer to nature took the form of traditional dance, music, and epics, all of which developed into unique art forms. 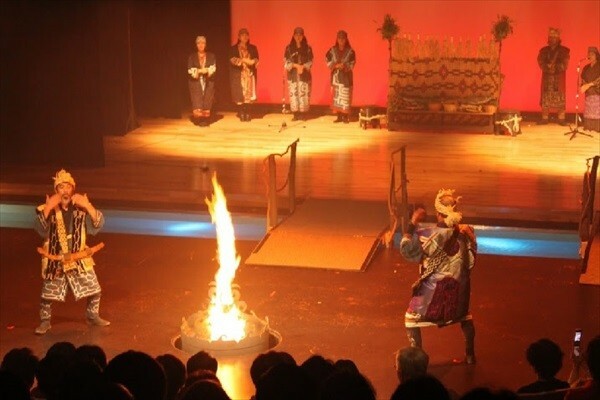 Traditional Ainu dance, which was made up of upopo and rimuse (which mean “song” and “dance” respectively in the Ainu language), can be viewed at the Ainu Theatre Ikor, an annex at Ainu Kotan. The many ceremonial dances and dances mimicking the movements of animals give visitors a taste of the spirit of the Ainu people, who lived in harmony with nature. In October each year, visitors can also enjoy the Marimo Festival, which includes a procession by torchlight and the Marimo Dance Parade. The festival attracts many people. The next place that we would like to introduce is “Shiraoi Porotokotan”. Shiraoi lies in between Noboribetsu and Tomakomaishi and was once the site of many Ainu villages. 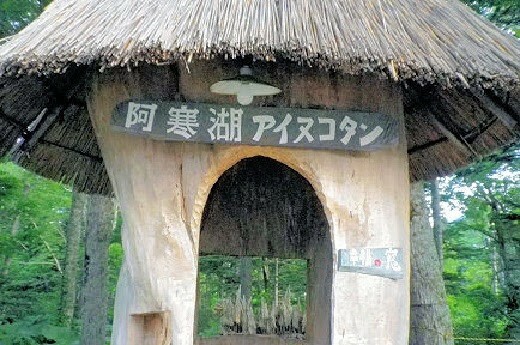 It is a famous spot for introducing Ainu culture. While performances of ancient Ainu dances can also be viewed here, the most outstanding feature of Shiraoi Porotokotan is the Ainu Museum, a significant outdoor museum that is located on this site. 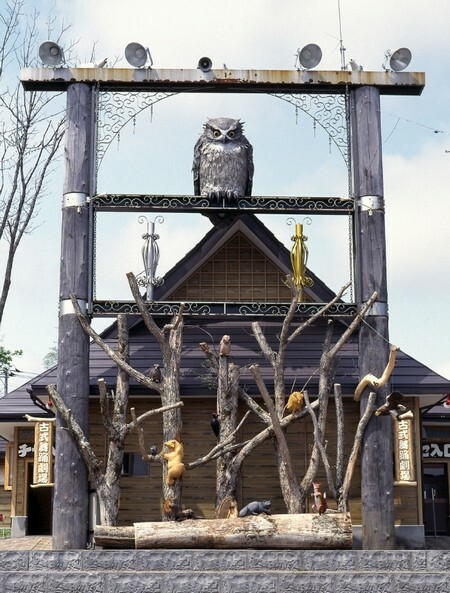 With multiple homes exhibited outdoors, the Ainu Museum reproduces the appearance of an Ainu village. 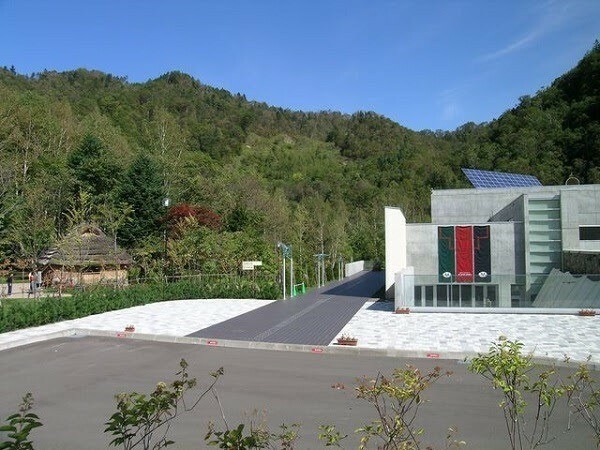 The facility also features spaces that are home to bears and the Hokkaido dogs that were an essential part of Ainu life, a botanical garden growing edible and medicinal plants, and a cafe serving Ainu food. It offers a close-up experience of the way of life of the Ainu people, who lived in harmony with nature. Please also note that a new museum devoted to Ainu culture, tentatively titled the National Museum of Ainu Culture, is scheduled to open in 2020 by Lake Poroto, which is something to look forward to. 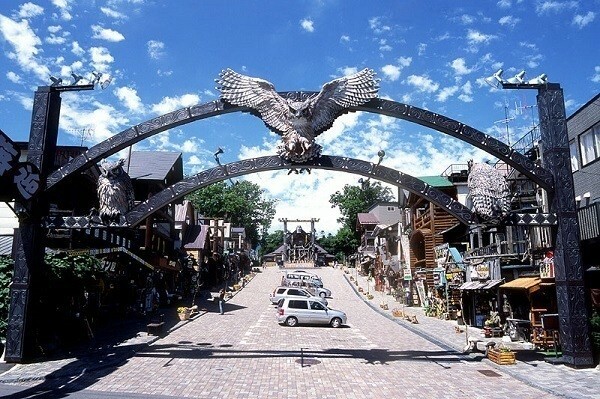 The Nibutani area in Hidaka subprefecture is also famous for having many Ainu villages. 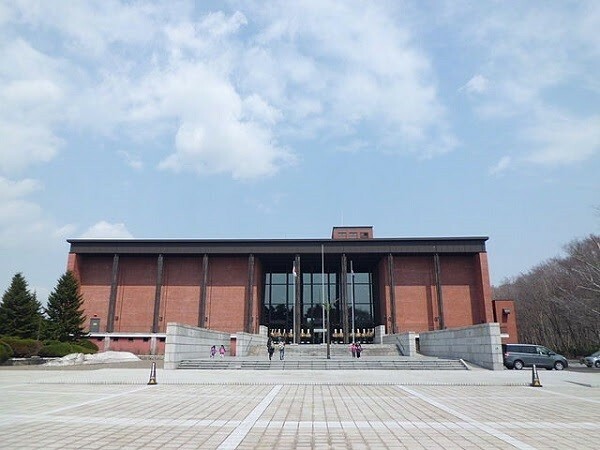 The official name of this museum is ”Biratori Nibutani Ainu Culture Museum”. The museum exhibits focus on articles of everyday use, of which it holds some 4,000 pieces. 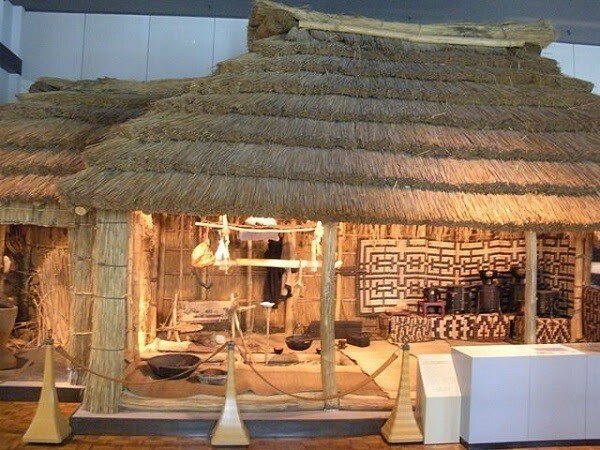 The museum’s collection covers most of the objects that were used in the daily life of the Ainu people. Some parts of the collection have been designated an Important Tangible Folk Cultural Property of Japan. Ainu crafts combine delicacy with strength and express the workings of nature in a geometrical manner. This is an Ainu stringed instrument known as a tonkori. Its sound is more delicate than that produced by a guitar, and it has many fans among professional musicians. With regards to clothing, Ainu everywhere were very clever in using fabric normally used to make Japanese clothes that they got from Japanese people. Their designs would definitely be acceptable even today. Those of you who are interested in crafts should definitely visit this spot. Apart from exhibitions, the museum also has an experience-based learning corner where visitors can try out wood carving or embroidery. (Bookings are required). 【From Sapporo】 The nearest exit : Hidaka-Tomikawa IC from central hokkaido road and hidaka road. It takes about 110 minutes towards national road 237. 【From New Chitose Airport】The nearest exit : Hidaka-Tomikawa IC from national road 36 hidaka road. It takes about 60 minutes towards national road 237. Closing Days： they open daily from April 16th to November 15th, close every Monday from November 16th to April 15th and not in business from Febrary 16th to March 15th. En route to Jozankei Onsen, which is a spot to entertain visitors to Sapporo, is Sapporo Pirka Kotan Sapporo, a promotion center for Ainu culture. 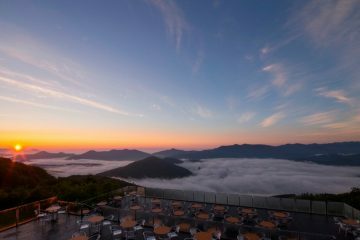 Despite for small size, it is less than an hour’s drive from Sapporo by car and easily accessible. Outdoor exhibitions of Ainu homes, everyday objects and clothing that were used by the Ainu are on display at this spot too. Pirka Kotan also hold occasional event days. 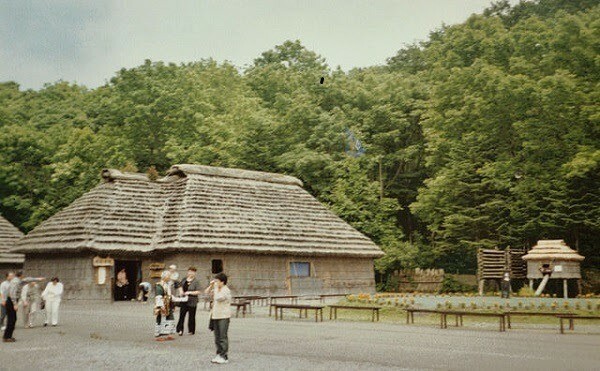 Visitors can watch performances of traditional Ainu dance or rituals. Workshops where participants can experience Ainu culture are also organized frequently. Be sure to check the event information on their website in advance! Right next door, you will find the Koganeyu Onsen, where you can enjoy a day visit for JPN 900 YEN(≒USD 8.46) for adults or JPN 450 YEN(≒USD 4.23)for children. This is a small but popular local onsen. Be sure to stop by if you are a fan of Onsen (hot springs). The Hokkaido Museum is a new facility that opened in April 2015. 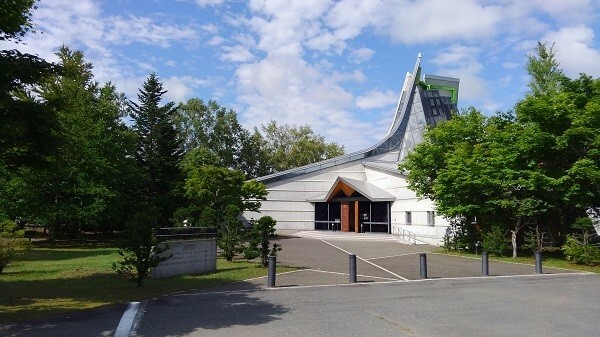 It was created through the amalgamation of the “Historical Museum of Hokkaido” and “the Hokkaido Ainu Culture Research Center”. 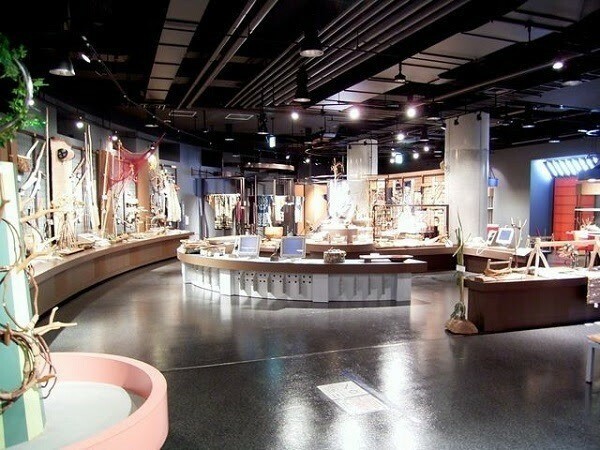 This museum focuses on exhibitions rather than experience-based activities revolving around Ainu culture. The exhibition areas focus on a restored Ainu house and display articles that were used in daily life. 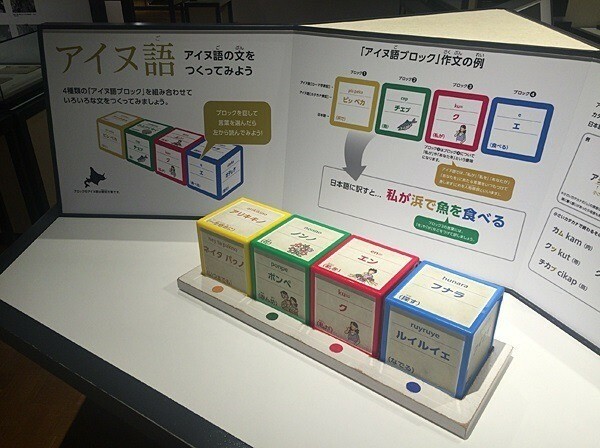 Among the various exhibits, those introducing the Ainu language are relatively substantial. Because the Ainu language did not have an alphabet, most of the words are notated in Japanese katakana. May we suggest listening to the unusual sounds of the Ainu language being sung in upopo (singing in a circular canon), a song form that is representative of Ainu culture. This concludes our introduction to places in Hokkaido offering experiences of Ainu culture. While it may be for only a short time during your holiday, when we observe the arts and crafts that were produced by the Ainu, it gives us an appreciation of the way that these people lived, paying homage to and in respect of nature. Wild Animal Paradise! 9 Animals you should watch in Hokkaido! 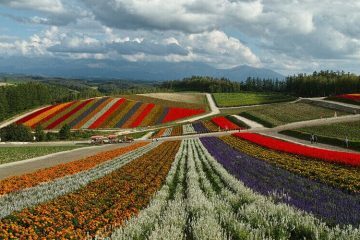 Sightseeing Introducing highlights on tourist spots and superb view of Hokkaido. Knowledge Introducing unique cultures and customs of Hokkaido. Activities Introducing information on activities and local experience in Hokkaido. Gourmet Introducing information on restaurants and things you want to eat in Hokkaido. Events Information will introduce the Hokkaido event. Shopping Introducing souvenirs and local specialties which you want to buy in Hokkaido. Travel tips Introducing useful information about traveling. 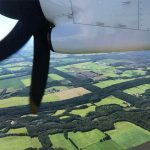 First time sightseeing in Hokkaido? Here are the 10 must-see destinations! Summer is almost here! A roundup of sightseeing spots, events and clothes in Hokkaido in June. 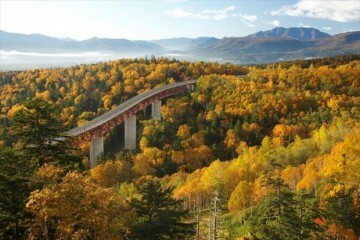 What to do in Autumn Season Hokkaido in October! 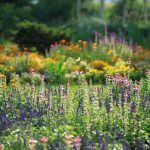 "Hokkaido Labo" is a media website which provides detailed information in order for you to enjoy Hokkaido as much as you want. 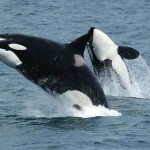 This website is managed by the travel agency "White Bear Family," operating more than 30 years since the establishment. 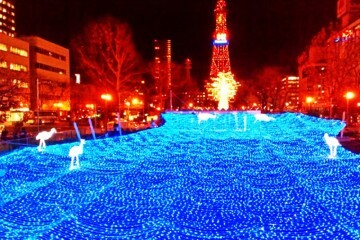 We have been providing tours to Hokkaido to more than 1 million people. 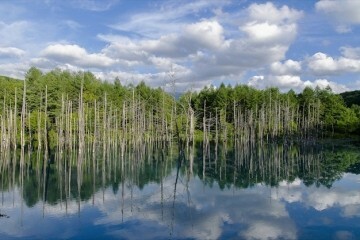 However, because of the vast land of Hokkaido, there are still a lot of attractive things which are yet to be shared. And still, there are a lot of people who have never been to Hokkaido. Due to the above fact, we have opened this "Hokkaido Labo" with our desire to make more people love Hokkaido, and actually make them go to Hokkaido. With our long experience, we go gather information, take photos, and share the real and detailed information! If we could make you feel like "I want to visit Hokkaido" or "I like Hokkaido more than before" by reading our articles, nothing would make us happier than that. Copyright Hokkaido labo All rights reserved.